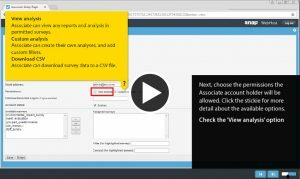 FAQ Series: How do I view a results summary for my survey? Question: How do I view a results summary? Snap Questionnaire and Summary Reports give a detailed summary of all survey results, and may provide all the details you need to make informed decisions. But did you know they can be modified and filtered to produce customized reports for each reader? 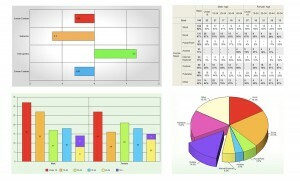 Produce reports for an individual or region, or a department or team, for example. Give clients, colleagues, and key stakeholders 24/7 access to real-time and personalized survey results. Set permissions to view specific analysis and reports, and create new analysis on the fly. You can find out more about sharing real-time results in this new interactive tutorial. 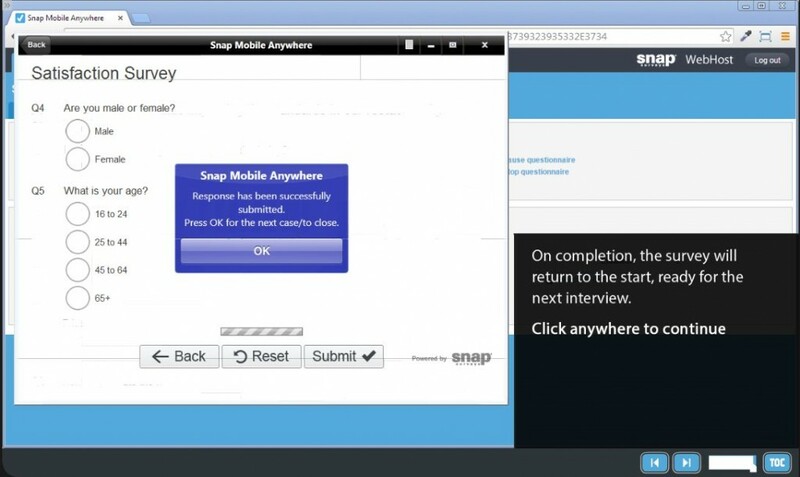 This new interactive tutorial will guide you through the entire process, from creating your first survey to collecting replies using the Snap Mobile Anywhere app. And best of all, it’s a free resource just for you! 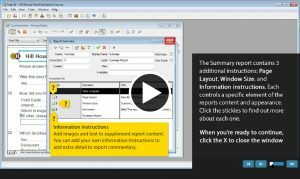 Would you like to see more e-learning tutorials like this? We’d love to have your feedback. Please complete the following short survey. You can now provide your clients, colleagues, and stakeholders with 24/7 access to real-time and personalized survey results. Set permissions to view specific analysis and reports, and configure analysis on the fly. Provide easy check-lists for the viewer to further filter and focus the reports and analysis made available to them. Learn more about Contextualized Analysis. Did you miss our webinar on planning your survey to deliver impactful insight? If you missed our Snap Summer Camp 2013 webinar on planning your survey to deliver impactful insight, you can watch it now! In part 1 of “Impactful Insight,” Jane Woolley, a customer insight consultant for Insight Management Academy, challenges you to think about exactly what “insight” is, and shows you how to ensure your surveys are planned to deliver effective insight aligned with business/organizational goals. If you have a quantity question in your survey, you may want to split the results into bands for easy analysis of results. For example, you may wish to split ages or salaries into ranges. There is a quick way to do this in Snap Survey Software using numeric variables. Numeric variables are a type of derived variable (i.e. they contain information that is derived from responses). Quantity data provides a continuous set of values. Because of this, it is difficult to find out how values are distributed, as every response could be different. If you want to see what ranges responses fall into, you have to group the responses together. You can choose how to group your responses, though it is best to group them into equal size bands to see how the responses are distributed. You need to choose how wide the bands are to make sure that you don’t miss any important spikes or dips in results (which might average out over a wide band). Did you miss our free webinar on Rim Weighting Explained with Snap Survey Software? This FREE webinar is part of our Snap Summer Camp 2012 series. If you missed this webinar, want to watch it again, or share it with your colleagues, you can access it here! >> Watch this webinar now!